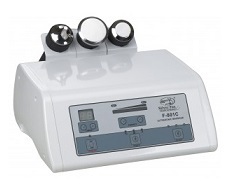 Item#-USA-F-801C.The Ultrasound unit accelerates the beneficial effects of products on the skin, providing a warming feeling on the skin that promotes blood flow and regeneration of the facial tissue and a treatment. Ideal for use within a course of treatments.shipping charges extra and will not appear on your internet order,only your invoice. Item#-USA-F-702.Digital ultrasound instrument with facial electrodes. 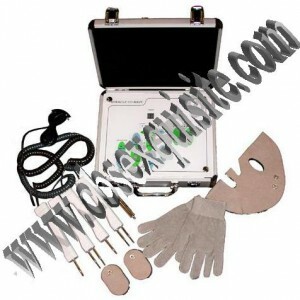 Ultrasound instrument emits two kinds of wave (continuous and pulsed) to be chosen depending on the treatment. please note,all shipping charges are additional to the freight amount“that appears in shopping cart when checking out and will only show up“on your invoice from us.this will not appear on your internet order. item #SDS3553. 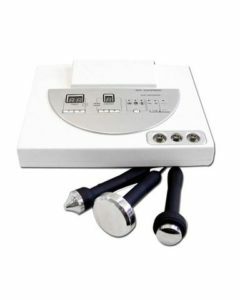 This gentle Ultrasonic skin massager is very effective in promoting skin rejuvenation and stimulating blood circulation for that glowing youthful skin texture. For the ultimate in relaxation, use this massager to relieve tension and improve circulation. The ergonomic design of the Ultrasonic Skin Massager helps improve circulation while alleviating aches, pains and muscle tension.shipping charges extra and will not appear on your internet order,only your invoice.